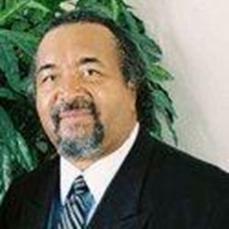 The Macedonian Call Ministries was founded in September of 1993 by Apostle Vincent R. Pool,Sr. It was incorporated in the State of Texas in March of 1995 with five incorporators who also served as the original board members. These were Vincent R. Pool,Sr., Jo Lynne Pool, Rhonda Randle, Pamela Nelson, and Mark Allen. The premise and foundation of the ministry is found in the book of Acts 16:9, And a vision appeared to Paul in the night; There stood a man of Macedonia, and prayed him, saying, Come over into Macedonia, and help us. Since its inception that has been the total vision of the ministry. The ministry has taken on the mantle of building up, strengthening, structuring, establishing, redirecting, re-establishing, and the re-structuring of ministries and churches wherever the Lord has allowed it to do so. Apostle Pool and his wife (Jo) have taught classes in both churches and homes alike in fulfilling the mandate that was given to them for the ministry. They have also taught in conferences and seminars in churches around the country. Apostle Pool is a firm believer in the ministry of prayer and wherever he goes, he teaches it as the foundation and building block for every other ministry to be built upon. The Lord has also given him an astounding revelation of the ministry of Sonship, which he teaches with great conviction. One of our main objectives is to see the Body of Christ operate totally in the Unity and Dominion of The Spirit and our teaching also genders toward that effort. Another of our greatest objectives is to see every believer come into the fullness of his or her purpose and to realize the fullness of their potential in Christ. Jo Lynne Pool has been given great wisdom on godly relationships and relationship building and she teaches that, based upon biblical principles, and godly insights and perception. She also founded the Precious Pearls Of Great Price Ministries in 1999 to utilize as a platform to teach women to be women of God in every dimension of life. Her relationship book for singles, published by Thomas Nelson in 1995, A Good Man Is Hard To Find Unless You Ask God To Be Head Of Your Search Committee, is in it's 15th printing, and has sold over 60,000 copies. She has written another book for singles, and one exploring the biblical example of Abigail as a modern marriage example. Excerpts of both books are on this website, and all three are available for purchase. Through their combined years of ministry, the Pools have run the gamut of ministerial experiences, including Pastoral trainings and Counseling, Foundational Bible Teaching and Preaching, In-depth Ministers training, including Licensing and Ordination classes, all being taught from the basic fundamental principles of the Holy Scriptures. Apostle Pool also believes and teaches the establishing of the Ascension or Five-Fold Ministry gifts (Ephesians 4:11-16) in their proper place and perspective according to scripture, with no gift being greater than the other, each having its own unique functionality and also each one being absolutely necessary in the representation of the Headship of Christ to the Body.